Anderson's have for years given landlords advice on the risks associated with identity and mortgage fraud. There are simple safeguards a landlord can make to ward off the chances of being a victim of mortgage fraud. One of the best ways to help with lessening your chances of being a victim is to add a correspondence address (different to the property address) onto your title deed. Your solicitor can do this for you, or you can do it yourself online with the Land Registry Office. Anderson's advise all clients who do not have an outstanding loan or charge on their property to take this course of action. Don't forget that, for just a few pounds a fraudster can search for your title and see if there is any outstanding charge and if you've added an 'alternative' correspondence address. Conveyancing fraud is another area of concern and it is prudent for us all to keep a watch on our credit scores. Telegraph Money was first to uncover the extent of the explosion in conveyancing fraud. We have been contacted by dozens of readers affected. 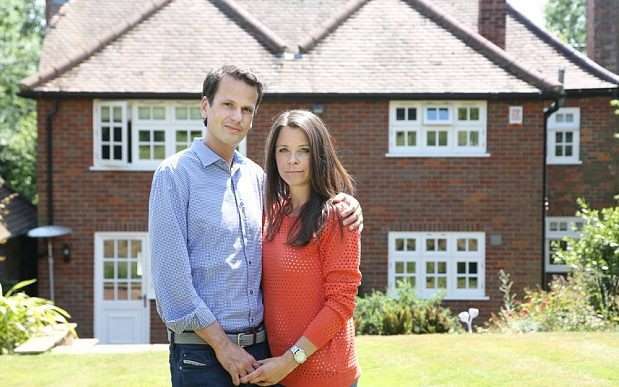 Kate Blakeley and her partner Marco Faes (pictured above) lost £299,000 to fraudsters when buying their first house together in July 2014. The Conveyancing Association, whose members handle one in five property transactions in Britain, launched a campaign today, following the coverage, advising solicitors to communicate sensitive information such as bank account details by post rather than email. Experian said that during the first quarter of 2016, the proportion of attempted mortgage fraud committed by identity thieves increased to 6pc - the highest level seen since 2012. Historically, this type of fraud has accounted for 4pc of detected mortgage application fraud. The figures are taken from UK fraud prevention system National Hunter, which is operated by Experian on behalf of members. It enables financial institutions to cross-match applications against more than 100 million previous application records to spot anomalies that are a sign of a potentially fraudulent application. Despite the increase in the ID theft in mortgage fraud, the index revealed that overall mortgage fraud attempts dropped significantly during January, February and March this year, compared to the same period in 2015. Falling from 83 in every 10,000 applications in the first quarter of 2015 to 66 in every 10,000 applications in the first quarter of 2016, it represents the biggest quarterly fall seen by the mortgage industry in the last three years. But Nick Mothershaw, a fraud expert at Experian, said of the growth in ID fraud: "The increase from 4pc to 6pc is worrying." He continued: "Because of the values involved, the impact on people's lives can be devastating. In many cases, fraudsters have either hacked databases or intercepted emails between individuals and their solicitors. "Large payments have been diverted and fraudsters have disappeared with the money. We'd urge anyone who has fallen victim to these kinds of scams to contact Action Fraud."